Cüneyt Sepetçi - renk. Cüneyt Sepetçi - renk. 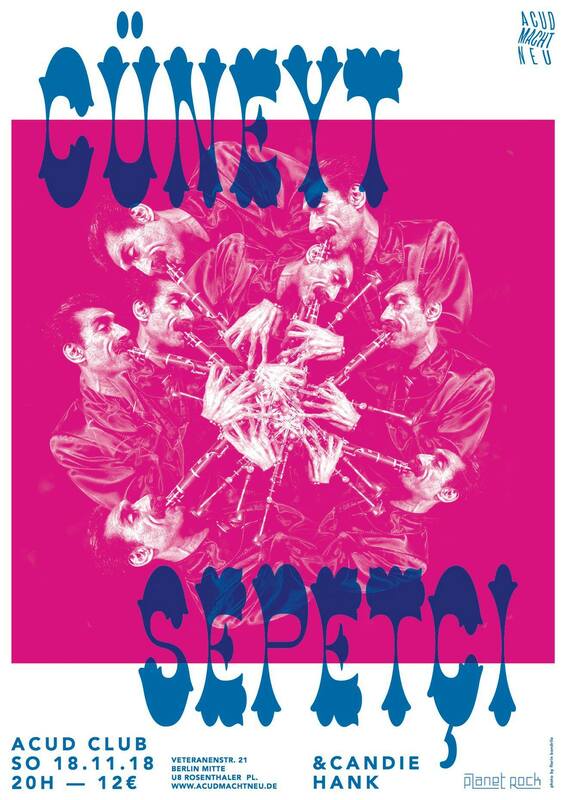 planet rock and Acud Macht Neu present: The indisputable don of Turkish Roma music and larger-than-life clarinettist Cüneyt Sepetçi will grace Berlin for the first time with an exclusive appearance. But beware, this is not for the faint at heart, uneven meters galore and musical adventures at break-neck speed. Candie Hank will round out an evening to remember with a special DJ set consisting of Romanian and Bulgarian Manele and Kuchek tracks. Istanbuls traditionally informed clarinet virtuoso Cüneyt Sepetçi is on an intense trip into modern wedding and party music from Turkey. The foundations go deep into Turkey and the surrounding regions history, which each generation innovates and develops. These days, no wedding or circumcision party is complete without the sound of the micro-tonal keyboard.